With a billion cars on the road today expected to double in the next 20 years, a new vehicle company Eggasus has been selected as a finalist in the Sierra Nevada Innovation Challenge sponsored by Rabobank. Chico, California (PRWEB) June 21, 2012– With a billion cars on the road today expected to double in the next 20 years, a new vehicle company Eggasus has been selected as a finalist in the Sierra Nevada Innovation Challenge sponsored by Rabobank. The Eggasus egg-shaped vehicle is designed to address exploding traffic congestion, parking shortages, extreme air and noise pollution. 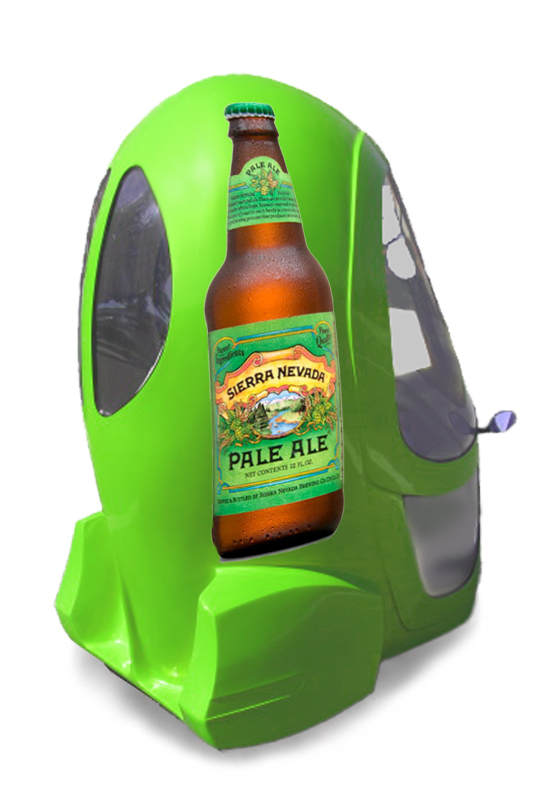 On June 21st, the brightest minds in California located outside the Bay Area, Los Angeles, and San Diego will gather at the Sierra Nevada Brewery in Chico, CA to showcase their best innovations and compete for the “Most Innovative Product of the Year.” Eggasus was established to introduce a flashy, single-passenger vehicle with zero emissions and an eye catching, out-of-this-world design. The egg-shaped Eggasus expresses a paradigm shift for easy transport around campuses and dense urban areas. Learn more about the competition at http://www.innovate-northstate.com. Eggasus is designed to move a single passenger quietly and safely from place to place or building to building in a comfortable all-weather enclosure. 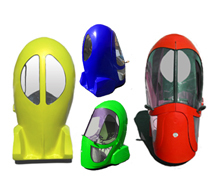 Under its egg-shaped shell is a three wheeled, trike styled electric vehicle (EV), equipped with an electric hub motor in the front wheel, enclosed cab, tinted windows, ergonomically comfortable seat, and instrument display panel. Stable and agile in tight spaces, Eggasus also offers zero tailpipe emissions, low-pollution, high-efficiency and quiet operation. Designers of Eggasus say it will have three main uses: A) Urban travel; B) Intra-campus transportation; and C) Mobile advertising billboard. Eggasus also addresses efficient travel in rainy weather, often a deterrent for bicycles or scooters. The reason for Eggasus is to simplify transportation in dense urban areas. Many times smaller than an SUV, Eggasus is more parking-friendly fitting half a dozen to a normal parking spot. Cities are getting bigger and denser; it is estimated that by 2030, 6 out of every 10 people will live in a city, and by 2050 this proportion will increase to 7 out of 10 people. People are seeking out more efficient forms of transportation. Motorcycle registrations are up in the USA with scooters up 12% in 2011 according to Motorcycle Industry Council. More than 200 million motorcycles are now in use worldwide. Improving urban transportation takes so much time, energy, resources and politics, it is almost a classic chicken-egg scenario; which comes first? In this case the egg comes first. By offering an immediate solution, Eggasus breaks the deadlock. USA TODAY recently wrote about cars of the future writing, “They’ll be smaller, safer, smarter.” An egg-shaped vehicle may be just what they meant. The new vehicle is planned for initial production this year and Eggasus is taking orders through social venture funding site Indegio.com. The price for a pre-production Eggasus will be $5,000 a piece. Cheaper by the dozen, of course, you can place a pre-order, sign up as a dealer with a dozen or more ‘eggs,’ purchase a kit, or simply a ‘shell’ at http://www.indiegogo.com/eggasus?a=654077. The Eggasus official website is http://www.eggasus.com. Our mission to create a vehicle for the future today with zero emission, an eye-catching, out-of-this-world design, to move you quietly from place to place or building to building in comfortable all-weather enclosure. This entry was posted in Press Release, Uncategorized and tagged advertising, billboard, car, challenge, eggasus, electric, ev, innovation, ipa, mobile, motorcycle, nevada, scooter, sierra, trike, vehicle. Bookmark the permalink. There are so many options out there that I’m completely overwhelmed .. Any tips? Kudos! Fox News: Is the Eggasus electric vehicle the future of transporation?